Jenny holds a bachelor’s degree in social sciences (Government) from the University of Exeter, a Master’s degree in Social Policy and Planning, with distinction, from the London School of Economics and Political Science; and a PhD from LSE. Her doctoral thesis, for which she was supervised by the late Professor Brian Abel Smith, explored the development of the university settlements in England. As Professor of Voluntary Sector Management in the Centre for Charity Effectiveness at Cass, Jenny leads the Centre’s research interests in voluntary and community sector organisations. 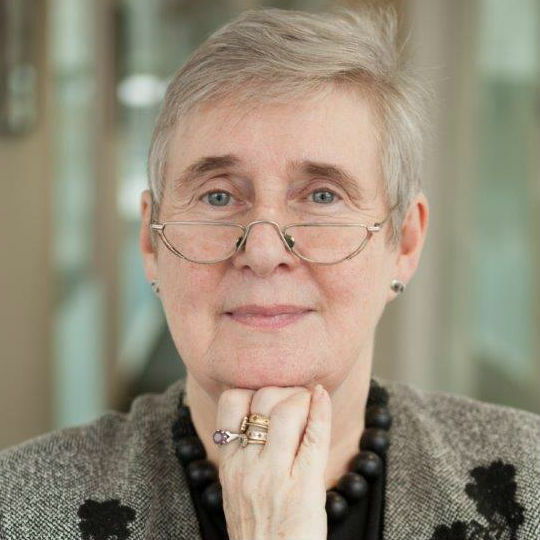 Jenny is the Principal Investigator for the School's ESRC Centre for Charitable Giving and Philanthropy; both Co-Director of the Centre Hub; and PI for its specialist research programme on institutionalised giving structures. She is also a member of the Faculty of Management’s Centre for Research in Corporate Governance and was formerly Co-Director of the Cass Business School Doctoral Programme. Jenny has held a range of London-based posts in the voluntary sector and has extensive trustee and board experience. She is currently a trustee of a disability grant-making trust and of the Institute for Voluntary Action Resarch. improvisation - an under-researched issue in nonprofit management? Thesis title: The Indian Civil Service: a community of practice? Jung, T., Phillips, S.D. and Harrow, J. (Eds. ), (2016). The Routledge Companion to Philanthropy. London: Routledge. ISBN 978-0-415-78325-5. Harrow, J. and Fitzmaurice, J. (2007). The Good Guide to Working With Consultants. London: National Council for Voluntary Organisations. ISBN 978-0-7199-1664-9. Harrow, J.R. and Jung, T. (2016). Philanthropy, the State and Public Goods. Doing Public Good? Private Actors, Evaluation, and Public Value Transaction Publishers. ISBN 978-1-4128-6201-1. Jung, T. and Harrow, J.R. (2016). Philanthropy: knowledge, practice and blind hope. In Orr, K., Nutley, S., Russell, S., Bain, R., Hacking, B. and Moran, C. (Eds. ), Knowledge and Practice in Business and Organisations Routledge. ISBN 978-1-138-94085-7. Pharoah, C. (2016). What Motivates People to Give their Own Private Resources for the Public Good? In Jung, T., Phillips, S. and Harrow, J. (Eds. ), The Routledge Companion to Philanthropy (pp. 71–87). London: Routledge. ISBN 978-0-415-78325-5. Harrow, J.R. and Phillips, D.S. (2013). Corporate Governance and Nonprofits: Facing up to Hybridization and Homogenization. In Wright, M., Siegel, D.S., Keasey, K. and Filatotchev, I. (Eds. ), The Oxford Handbook of Corporate Governance Oxford University Press. ISBN 978-0-19-964200-7. Pavey, H., Harrow, J.R. and Jung, T. (2012). The role of community foundations in the Big Society: taken for granted? Philanthropy and a better society Alliance Publishing Trust. ISBN 978-1-907376-15-3. Harrow, J.R. (2012). Contested Perspectives on Corporate Philanthropy. In Haynes, K., Murray, A. and Dillard, J. (Eds. ), Corporate Social Responsibility: A Research Handbook (pp. 234–254). Routledge. ISBN 978-0-415-78171-8. Harrow, J. (2010). Philanthropy. In Taylor, R. (Ed. ), Third Sector Research (pp. 121–137). New York, NY: Springer. ISBN 978-1-4419-5707-8. Harrow, J. and Wilding, K. (2010). Working with the Voluntary Sector. In Lee, B. and Cassells, C. (Eds. ), Management Research, Challenges and Controversies London: Routledge. ISBN 978-0-415-47217-3. Harrow, J. (2009). Donor and Donor Intent. In Anheier, H.K. and Toepler, S. (Eds. ), International Encyclopedia of Civil Society New York, NY: Springer. ISBN 978-0-387-93994-0. Harrow, J.R. (2009). Samuel Barnett. In Anheier, H.K. and Toepler, S. (Eds. ), International Encyclopedia of Civil Society New York: Springer Verlag. ISBN 978-0-387-93994-0. Harrow, J. and Douthwaite, S. (2006). Fundraising Regulation: for who and by whom? In Mordaunt, J. and Paton, R. (Eds. ), Thoughtful Fundraising: Concepts, Issues and Perspectives London: Routledge. Harrow, J. (2004). Mechanisms and Values in the Delivery of a Patchwork of Public Services. In Dibben, P., Wood, G. and Roper, I. (Eds. ), Contesting Public Sector Reforms: critical perspectives, international debates Palgrave Macmillan, London. Harrow, J. (2002). The New Public Management and social justice: just efficiency or equity as well? In McLaughlin, K., Osborne, S.P. and Ferlie, E. (Eds. ), The New Public Management: Current trends and future prospects Routledge. ISBN 978-0-415-24363-6. Harrow, J. and Palmer, P. (2011). Well, nobody�s perfect � : teaching ethics through case studies to nonprofit managers when the teachers� actions are �the case�. Benchmark 3.5: Conference on nonprofit and philanthropic studies,Nonprofit Academic Centres' Council Research Conference San Diego, Ca, USA. Harrow, J. and Jung, T. (2011). Appreciative Inquiry research in Scottish voluntary organisation contexts. Benchmark 3.5: Conference on nonprofit and philanthropic studies,Nonprofit Academic Centres' Council Research Conference San Diego, Cs, USA. Harrow, J. (2010). In tune with the spirit of the age? The public narratives of annual reports for the London Council of Social Service, 1919-1935. 4th Voluntary Action History Society (VAHS) Conference: A Century of Councils of Social Service 14-16 July, University of Kent, UK. Harrow, J. and Pharoah, C. (2010). Third Sector Organisations: the collaboration and post -collaboration climates. ESRC Research Seminars Series: Collaborative Futures - New Insights from Intra and Inter-Sectoral Collaborations 23 February, University of Birmingham, UK. Harrow, J. and Pharoah, C. (2010). Payout with an English accent ? Exploring the case for a foundation �distribution quota� in the UK. 'Redefining Government & Voluntary Sector Relationships',Association of Researchers in Nonprofit and Voluntary Action,Research Conference, November 17-20 Alexandria, Va, USA. Harrow, J. (2010). What is research telling us about philanthropy? 3rd World Congress of Muslim Philanthropists, 21-22 March Doha, Qatar. Jung, T., Harrow, J. and Osborne, S.P. (2010). Rationing Philanthropy: problems, principles, practices. "Facing Crises: Challenges and Opportunities Confronting the Third Sector and Civil Society", 9th International Conference of the International Research Society for Third-Sector Research (ISTR) Istanbul, Turkey. Jung, T., Harrow, J. and Osborne, S.P. (2010). Rationing Relationships. ARNOVA�s 39th Annual Conference "Governments & the Voluntary Sector: Redefining the Relationships?" Alexandria, VA.
Harrow, J. (2010). Being generous with time and money. Birkbeck-Institute for Voluntary Action Research seminar series, 2009/10, 'New Thinking About the Third Sector', 29 April Birkbeck College, London. Harrow, J. (2009). Using Theory in Research. 6th NCVO/VSSN “Researching the Voluntary Sector” conference 7-8 September, University of Warwick, UK. Harrow, J. (2009). Thistles, roses, thorns: some reflections on third sector/government relations and policy expectations in economic downturn. ESRC/Scottish Council for Voluntary Organisations, Public Policy Seminar Series 13 February, Edinburgh. Harrow, J. (2009). Secure Giving: Setting New Standards of Informed Giving�. Second World Congress of Muslim Philanthropists, March 22-23 Abu Dhabi, UAE. Harrow, J. (2009). Taken for Granted? Grantmakers, grant seekers and grant refusal. Association of Researchers in Nonprofit and Voluntary Action, 38th Conference, Philanthropy in Communities: Finding Opportunity in Crisis, 19-21 November Cleveland, USA. Harrow, J. (2009). Charity mergers: the best of times, the worst of times? Kleinwort Benson Charity Seminar Series, 6 May London. Harrow, J. (2009). Keynote Panel: development in philanthropy. 2nd World Congress of Muslim Philanthropists Abu Dhabi, UAE. Harrow, J. (2009). Leadership and resilience �local communities and services in a time of fragmentation. The Economic and Social Research Council , Association of Chief Officers of Scottish Voluntary Organisations and Society of Local Authority Chief Executives & Senior Managers (SOLACE Scotland). Public Policy Seminar , 30 October University of Edinburgh Business School. Harrow, J. and Gilbert, S. (2008). A love of the institution' and the paradox of benevolent society support: The case of the Printers Charitable Corporation, 1920-1940. VAHS 3rd International Conference on Voluntary Action History 16-18 July, University of Liverpool, UK. Harrow, J. and Pharoah, C. (2008). Stretching to meet obligations? Family Philantrhopy, an international comparison. Association of Researchers in Nonprofit and Voluntary Action, 37th Research Conference,20-22 November Philadelphia, USA. Gilbert, S. and Harrow, J. (2006). More than a "fine old charity"? Modernising Momentum in the Printers' Charitable Corporation, 1900-2005. From 'Voluntary Organisation' to 'NGO'? Voluntary Action in Britain since 1900: 20th Annual CCBH Summer Conference,28-30 June Institute of Historical Research, Senate House, University of London. Grant, P. and Harrow, J. (2006). No longer taken for granted? Grantmaking Management reaches the academic curriculum. Benchmark 3: 2006 Conference on Nonprofit Management and Philanthropic Studies, 16-19 March Arizona State University, Tempe, Arizona. Douthwaite, S. and Harrow, J. (2006). 'Let Us Now Praise Famous Men': Is appreciative inquiry helpful in researching board member exit? Association for Research on Nonprofit Organizations and Voluntary Action 35th Annual Conference, 16-18 November Chicago, Ill..
Palmer, P., Gilbert, S. and Harrow, J. (2005). Reading Between The Lines: Inderstanding the Roles and Future of Charitable Benevolent Funds in a Mixed Economy of Welfare. Challenges of Managing the Voluntary Sector, European Institute for Advanced Studies in Management,6-7 September Queen's University, Belfast. Palmer, P. and Harrow, J. (2005). Secret Philanthropy: City Livery Companies' Grantmaking as a Hybrid Form of Corporate Philanthropy. NCVO and VSSN Eleventh Researching the Voluntary Sector Conference,31 August/1 September The University of Warwick. Harrow, J. (2005). "When the Music Stops": Exploring the Concept of Improvisation in Voluntary and Community Organisations. NCVO and VSSN Eleventh Researching The Voluntary Sector Conference, 31 August/1 September The University of Warwick. Douthwaite, S. and Harrow, J. (2005). All grown up now? Policy maturity or infancy in charity fundraising self-regulation. ARNOVA Research Conference, 17-19 November Washington DC, USA. Harrow, J. (2005). Institutional and Policy Perspectives on Self-regulation in Charity Fundraising. International Research Colloquium on Accountable Governance/ESRC Seminar Series on public accountability in the new institutional environment Queen's University, Belfast, 20-22 October. Harrow, J. (2004). They have their exits and entrances��: knowledge capture and organisational learning from trustees resigning their boards. NCVO and Voluntary Sector Studies Network, Tenth Research Conference, Sheffield Hallam University, 1-3 September. Douthwaite, S. and Harrow, J. (2004). Trustee exit from boards; The �ABC� of trustee departure or the �Great Escape�? Association for Researchers in Nonprofit and Voluntary Action, Research Conference 22-26 November, Los Angeles, USA. Reid, B., Mole, V.C. and Harrow, J. (2002). Evaluating Partnerships: the Costs and Benefits of Common Housing Registers in Scotland. British Academy of Management Conference Hammersmith, London. Harrow, J. (2001). The light that failed?� : university-settlement relations and learning about social problems,. �400 Years of Charity: First International Conference of the Voluntary Action History Society University of Liverpool, 11-13 September. Jung, T., Harrow, J. and Leat, D. (2018). Mapping Philanthropic Foundations’ Characteristics: Towards an International Integrative Framework of Foundation Types. Nonprofit and Voluntary Sector Quarterly, 47(5), pp. 893–917. doi:10.1177/0899764018772135 . Harrow, J. (2016). Book Review: Creating Value in Nonprofit-Business Collaborations: New Thinking and Practice by J. E. Austin and M. M. Seitanidi. Nonprofit and Voluntary Sector Quarterly, 45(1), pp. 205–207. doi:10.1177/0899764015596389 . Harrow, J. (2016). 'Capacity building' as a public management goal: Myth, magic or the main chance? Public Management Review, 3(2), pp. 209–230. doi:10.1080/14616670010029593 . Harrow, J. and Jung, T. (2016). Philanthropy and community development: the vital signs of community foundation? Community Development Journal, 51(1), pp. 132–152. doi:10.1093/cdj/bsv056 . Harrow, J. and Jung, T. (2015). Debate: Thou shalt have impact, total impact—government involvement in philanthropic foundations’ decision-making. Public Money & Management, 35(3), pp. 176–178. doi:10.1080/09540962.2015.1027488 . Jung, T. and Harrow, J. (2015). New development: Philanthropy in networked governance—treading with care. Public Money & Management, 35(1), pp. 47–52. doi:10.1080/09540962.2015.986880 . Jung, T., Kaufmann, J. and Harrow, J. (2014). When Funders Do Direct Advocacy. Nonprofit and Voluntary Sector Quarterly, 43(1), pp. 36–56. doi:10.1177/0899764012472401 . Jung, T., Harrow, J. and Phillips, S.D. (2013). Developing a better understanding of community foundations in the UK's localisms. Policy & Politics, 41(3), pp. 409–427. doi:10.1332/030557312x655594 . Harrow, J. and Jung, T. (2011). EDITORIAL: Philanthropy is Dead; Long Live Philanthropy? Public Management Review, 13(8), pp. 1047–1056. doi:10.1080/14719037.2011.619062 . Pharoah, C. and Harrow, J. (2011). A legacy for the nation's health – the challenges faced by UK health charities in legacy funding. Journal of Communication in Healthcare, 4(1), pp. 13–26. doi:10.1179/175380611x12950033990098 . Harrow, J. (2011). Governance and isomorphism in local philanthropy: The interplay of issues among foundations in Japan and the UK. Public Management Review, 13(1), pp. 1–20. doi:10.1080/14719037.2010.501617 . Bruce, I., Harrow, J. and Obolenskaya, P. (2007). Blind and partially sighted people's perceptions of their inclusion by family and friends. The British Journal of Visual Impairment, 25(1), pp. 68–85. doi:10.1177/0264619607071778 . Harrow, J. (2006). Chasing Shadows? Perspectives on Self-Regulation in UK Charity Fundraising. Public Policy and Administration, 21(3), pp. 86–104. doi:10.1177/095207670602100307 . Harris, I., Mainelli, M., Grant, P. and Harrow, J. (2006). Predicting the effectiveness of grant-making. Strategic Change, 15(2), pp. 53–66. doi:10.1002/jsc.747 . Harrow, J. and Mole, V. (2005). “I want to move once I have got things straight”: Voluntary sector chief executives' career accounts. Nonprofit Management and Leadership, 16(1), pp. 79–100. doi:10.1002/nml.91 . Harrow, J. and Douthwaite, S. (2005). Knowledge Capture From Trustees Resigning Their Volunteer Boards. Journal of voluntary action research, 7(1), pp. 61–79. Vincent, J. and Harrow, J. (2005). Comparing thistles and roses: The application of governmental-voluntary sector relations theory to Scotland and England. Voluntas, 16(4), pp. 375–395. doi:10.1007/s11266-005-9148-9 . Harrow, J. (2001). ‘CAPACITY BUILDING’ AS A PUBLIC MANAGEMENT GOAL - Myth, magic or the main chance? Public Management Review, 3(2), pp. 209–230. Harrow, J. (1997). Managing risk and delivering quality services: A case study perspective. International Journal of Public Sector Management, 10(4-5), pp. 331–352. Jung, T., Harrow, J. and Pharoah, C. (2012). Co-producing research: working together or falling apart?. Harrow, J., Jung, T., Pavey, H. and Scott, J. (2011). Donor cultivation in theory and practice. Edinburgh: Centre for Charitable Giving and Philanthropy / Arts & Business. Harrow, J. and Pharoah, C. (2009). Charitable Legacies in an Environment of Change. London: The Smith Institute. Harrow, J.R. (2009). The Governance of Local Philanthropy. Japan: Hokkaido University. Harrow, J. and Bogdanova, M. (2006). Sink or SWiM? London. Harrow, J. (2005). The English University Settlements 1884 -1939: A Social Movement Becalmed? London: Voluntary Action History Society. Harrow, J., Reid, B. and Mole, V.C. (2004). The risks and rewards of developing common housing registers: lessons from the modernising government fund (MGF) demonstration projects. Edinburgh: Communities Scotland. Cripps, A. and Harrow, J. (2004). Merging under Pressure: Chief Executives' and Organisations' Learning from Merger Processes, Events and Outcomes. International Society for Third-Sector Research (ISTR). Harrow, J. Philanthropreneur - a new generation defined. Public Management Review, Special Editor, 2010 – 2011. Journal of Management and Governance, Referee, 2009 – present. International Journal of Nonprofit and Voluntary Sector Marketing, Referee, 2008 – 2009. Nonprofit and Voluntary Sector Quarterly, Referee, 2008 – present. Voluntas, International Journal of Voluntary and Nonprofit Organizations, Referee, 2007 – present. Public Management Review, Referee, 2004 – present. Benchmark 3.5: Conference on nonprofit and philanthropic studies,Nonprofit Academic Centres' Council Research Conference. (Conference) San Diego, Cs, USA (2011). Benchmark 3.5: Conference on nonprofit and philanthropic studies,Nonprofit Academic Centres' Council Research Conference. (Conference) San Diego, Ca, USA (2011). 'Redefining Government & Voluntary Sector Relationships',Association of Researchers in Nonprofit and Voluntary Action,Research Conference. (Conference) Alexandria Va, USA (2010). Co-authors: Harrow, J. and Osborne, S.
'Redefining Government & Voluntary Sector Relationships',Association of Researchers in Nonprofit and Voluntary Action,Research Conference. (Conference) Alexandria, Va, USA (2010). Invited speaker. International Conference of the Voluntary Action History Society. (Conference) University of Kent, UK (2010). Birkbeck-Institute for Voluntary Action Research seminar series, 2009/10, 'New Thinking About the Third Sector'. (Seminar) Birkbeck College, London (2010). Invited speaker. 3rd World Congress of Muslim Philanthropists. (Conference) Doha, Qatar (2010). Invited speaker. ESRC Research Seminars Series, University of Birmingham and Cardiff Business School, “Collaborative futures: new insights from intra and inter-sectoral collaborations’. (Seminar) University of Birmingham (2010). Invited speaker. "Facing Crises: Challenges and Opportunities Confronting the Third Sector and Civil Society", 9th International Conference of the International Research Society for Third-Sector Research (ISTR). (Conference) Kadir Has University, Istanbul, Turkey (2010). (Public lecture) Friends of Africa and HSBC Private Bank (2009). Invited speaker. Association of Researchers in Nonprofit and Voluntary Action, 38th Conference, Philanthropy in Communities: Finding Opportunity in Crisis. (Conference) Cleveland, USA (2009). The Economic and Social Research Council , Association of Chief Officers of Scottish Voluntary Organisations and Society of Local Authority Chief Executives & Senior Managers (SOLACE Scotland). Public Policy Semina. (Seminar) University of Edinburgh Business School (2009). Invited speaker. Voluntary Sector Studies Network /National Council for Voluntary Organisations, Researching the Voluntary Sector Conference. (Conference) University of Warwick, UK (2009). Invited speaker. Fourth International Conference on Voluntary Action History (9/2009-12/2010). (Conference) University of Kent, UK (2009). Organising Committee. Kleinwort Benson Charity Seminar Series. (Workshop) London (2009). Invited speaker. Paper: Charity mergers: the best of times, the worst of times? Second World Congress of Muslim Philanthropists. (Conference) Abu Dhabi, UAE (2009). Invited speaker. ESRC/Scottish Council for Voluntary Organisations, Public Policy Seminar Series. (Seminar) Edinburgh (2009). Invited speaker. 2nd World Congress of Muslim Philanthropists. (Conference) Abu Dhabi, UAE (2009). Invited speaker. Association of Researchers in Nonprofit and Voluntary Action, 37th Research Conference. (Conference) Philadelphia, USA (2008). Third International Conference on Voluntary Action History. (Conference) University of Liverpool (2008). Third International Conference on Voluntary Action History. (Conference) University of Liverpool (2008). Organising Committee. Association for Research on Nonprofit Organizations and Voluntary Action 35th Annual Conference. Chicago, Ill. (2006). Paper: 'Let Us Now Praise Famous Men': Is appreciative inquiry helpful in researching board member exit? From 'Voluntary Organisation' to 'NGO'? Voluntary Action in Britain since 1900: 20th Annual CCBH Summer Conference. Institute of Historical Research, Senate House, University of London (2006). Benchmark 3: 2006 Conference on Nonprofit Management and Philanthropic Studies. Arizona State University, Tempe, Arizona (2006). ARNOVA Research Conference. Washington DC, USA (2005). International Research Colloquium on Accountable Governance/ESRC Seminar Series on public accountability in the new institutional environment. Queen's University, Belfast (2005). Challenges of Managing the Voluntary Sector, European Institute for Advanced Studies in Management. Queen's University, Belfast (2005). Co-authors: Palmer. P., Gilbert, S.
NCVO and VSSN Eleventh Researching the Voluntary Sector Conference. The University of Warwick (2005). Association for Researchers in Nonprofit and Voluntary Action, Research Conference. Los Angeles, USA (2004). Paper: Trustee exit from boards; The ‘ABC’ of trustee departure or the ‘Great Escape’? NCVO and Voluntary Sector Studies Network, Tenth Research Conference. Sheffield Hallam University (2004). International Society for Third Sector Research, Fifth International Research Conference. Ryerson University, Toronto, Canada (2004). British Academy of Management Conference. Hammersmith, London (2002). Co-authors: Reid, B. , Mole, V.C. ‘400 Years of Charity: First International Conference of the Voluntary Action History Society. University of Liverpool (2001). (2011) BBC Radio 4 (radio). New shop puts text in textiles. (2011) Church Times (newspaper). Going for Gold. (2011) Charity Finance. Why did Lindsay Boswell go so politely? (2009) www.thirdsector.co.uk (website). Third sector still innovating despite hard times. (2009) www.genengnews.com (website). Third Sector still innovating despite hard times. (2009) www.scvo.org.uk (website). Centre for philanthropy studies opens doors. (2009) www.journal-online.co.uk (website). What's in it for the third sector. (2009) Guardian (newspaper). A new twist on public service contracts. (2009) Guardian (newspaper). In the News: ESRC for Charitable Giving and Philanthropy. (2008) Charity Times. Recession advice marks opening of giving centre. (2008) Third Sector. Univeresity signs up to charity research centre. (2007) Edinburgh Evening News (newspaper).